I sit here tonight thinking on what it means to be persistent. I have titled this message A Secure and Living Hope to show as well as to extend a hand of encouragement to remain persistent; to be so emboldened your faith is not simply made stronger, but that regardless the circumstance you face you can and will make it through. Why is this so important? 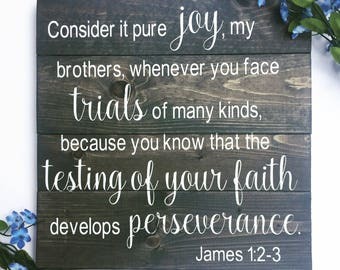 In the Expanded Bible Peter is seen saying it this way: "This makes you very happy, even though now for a short time different kinds of troubles may make you sad [you have had to suffer various kinds of trials/testings]. These troubles come to prove that your faith is pure. This purity of faith--being tested and proved authentic--is worth more than gold, which can be proved to be pure [tested and proven authentic] by fire but can be destroyed. But the purity of your faith will bring you praise and glory and honor when Jesus Christ is shown to you [at the revelation of Jesus Christ]" (1 Peter 1:6-7). I know it doesn't seem encouraging to see we have to go through the hard times. I go through hard times a great deal. It's not only that I struggle all the time with depression and figuring out what God is doing with and through me. This calling I know I have on me is a kind that seems to be there to see how I will stand. Adversity affects each and every one of us. How we choose to look at it and deal with it shows our response to God. Will I remain faithful to Him? Will I remain convicted in my belief of who He says He is? There are those who follow after strange fire, and I do call it strange fire as people are going after the things of this world, as well as those who follow strange doctrines that aren't of God. Strange, in the sense of scripture, as per Leviticus 10 is another word for "unholy, illicit, profane." In this text in Leviticus two of Aaron's sons, Nadab and Abihu, didn't treat God in a holy manner. We read, "Then Nadab and Abihu, the sons of Aaron, each took his censer and put fire in it, put incense on it, and offered profane fire before the Lord, which He had not commanded them. So fire went out from the Lord and devoured them, and they died before the Lord. And Moses said to Aaron, “This is what the Lord spoke, saying: ‘By those who come near Me I must be regarded as holy; and before all the people I must be glorified.’” So Aaron held his peace" (Leviticus 10:1-3, New King James). All that said, I strongly believe that the reason God's anger burned against these two men wasn't due to their mishandling of God and His holiness. It was as if they disregarded that He is holy. Something about them, maybe even their heart, or something else was "unholy" in God's sight. What we do know is that both men "each took his censer and put fire in it, put incense on it...which [God] had not commanded them." I call what people are doing these days, following after false prophets and asking for a word from God as strange fire, due to the way they handle God when their own hearts aren't even right towards a holy and just God. What else can God do but what He did with Aaron's two sons? So, going back to what Peter is saying is that the troubles we experience are to prove our faith being pure. He calls this faith as being more valuable than that of gold, which can be destroyed. True authentic faith in the Father, who allowed Jesus Christ to be raised from the dead, will never be destroyed but materials such as gold can be destroyed. If our faith is one hundred percent true and pure then when Jesus Christ is fully revealed on His return, that faith earns us praise and glory. Our hope, as Peter is saying, is Jesus Christ. So we can maintain our faith. We can be pure as God is pure. And in a while in this same letter he says this as well, "But be holy in all you do [your behavior and conduct], just as God, the One who called you, is holy. It is written in the Scriptures: “You must be holy, because I am holy" (1 Peter 1:15, 16, Expanded). The biggest reason I call what some people do as offering strange fire by going to false prophets seminars, conferences, and churches is because these people believe they are in fact pure. We're told differently in God's word: "We are all infected and impure with sin. When we display our righteous deeds, they are nothing but filthy rags. Like autumn leaves, we wither and fall, and our sins sweep us away like the wind" (Isaiah 64:6, New Living Translation). Why rely on our own salvation? Why rely on our deeds? Why rely on our own steam, thinking that some how God answers to us when it is we who answer to Him? Do we honestly think and believe He somehow bows down to us? We're treating him in an unfit and unholy manner. That's the biggest reason I call this attitude from the people strange fire. If our sins keeps us from seeing and believing in the promises God gave, then what makes us different from those who desperately need Him and His saving grace? We need to see the things we think we do, in our so-called self-righteous faith, tearing them down. We sinned in His eyes. And if we desire healing we need to rend our hearts before Him. I admonish each and everyone, including myself, to change our hearts and minds before Him. He can and will cleanse us, but we have to be willing to see our acts for what they are, pure and utter filth. God is holy. Let us change our ways and look to Him on how to be this way as well. Micah said it best under God's Spirit, "Mankind, He has told you what is good and what it is the LORD requires of you: to act justly, to love faithfulness, and to walk humbly with your God" (Micah 6:8, Holman Christian Standard). To say we live our lives as God desires of us we must be willing to lay aside our own ways. We must be willing to put Jesus Christ on. He conquered the grave with His resurrection and ascension. So can we as He has already done so. It's simply a matter of our faith in Him. Further on these lines, if we follow God's will in our lives, we do this thing: to act in justice to one another, loving each other as Christ loved us; to be faithful, being so filled with faith we do it in service, compassion, and merciful grace; to top it off we walk in humility by thinking less of ourselves and more of others. If we want to claim we do things in the name of Christ on God's behalf we ought to be willing to lay down our lives for others. "There is no greater love than to lay down one's life for one's friends" (John 15:13, New Living Translation). It is my hope and prayer these words lift you up, to do more than encourage, but to build you up in the name of Jesus Christ in whom I pray. Amen.